Left-over rice? No problem! 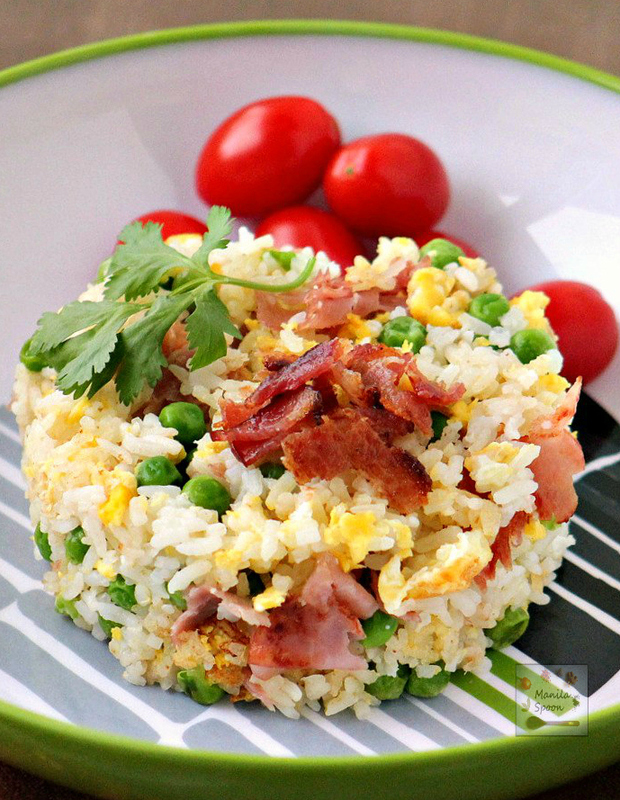 Turn it into delicious fried rice flavored with bacon, garlic and eggs! Easy and delicious instant side dish! If you are a regular reader of our blog, you probably already know by now how much we love fried rice in our house. In fact, I purposely cook a lot of rice in one go for the simple reason that we want left-overs. You know why? Because left-over chilled cooked rice is the perfect ingredient for a delicious and perfect fried rice! One thing I love about fried rice is its versatility. 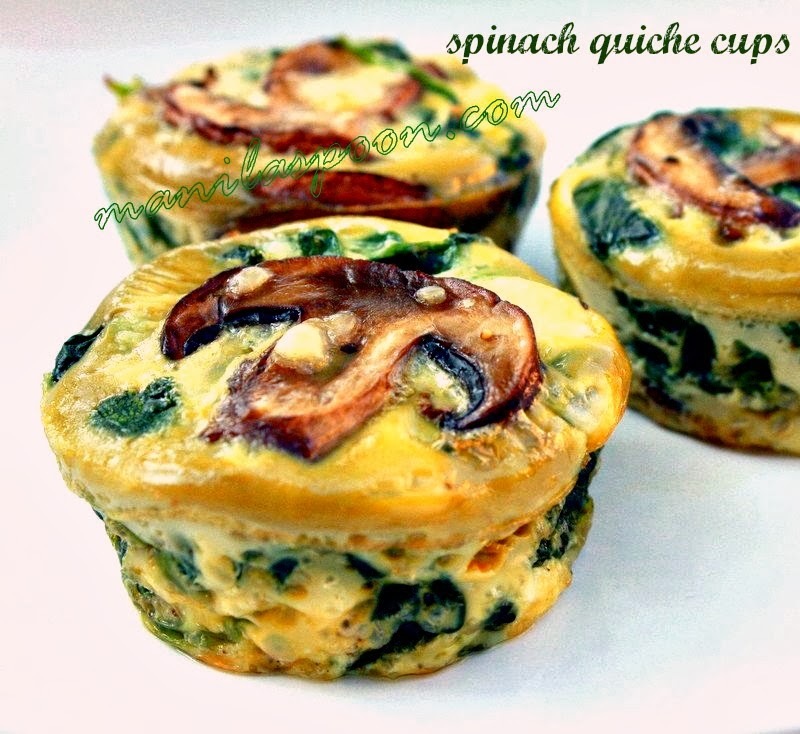 You can make it vegetarian and simply use vegetables to go with it. But if you are a meat lover like me, you can incorporate any meat you want. I have done pork, beef, sausages and certainly fish and chicken are great, too! For this particular recipe, I have decided to flavor it with bacon instead of just the usual vegetable oil that I use. The rice is cooked in a little bacon fat and then the rest of the bacon is crumbled and mixed with the rice and veggies and also used as garnish! The dish comes out so colorful and delicious, too! I use both salt and soy sauce to flavor it, too so you can be sure it is very tasty! If you don’t like soy sauce then simply use salt, as that is perfectly fine. The lovely thing about fried rice is it doesn’t require much preparation at all. It just uses day old refrigerated rice (preferably overnight) and the only thing you need to peel is the garlic. It is very quick to make as well as it can be done in 15 minutes and may be served at the table in no time. Certainly, it is a great side dish that doesn’t require too many ingredients nor too much fuss! 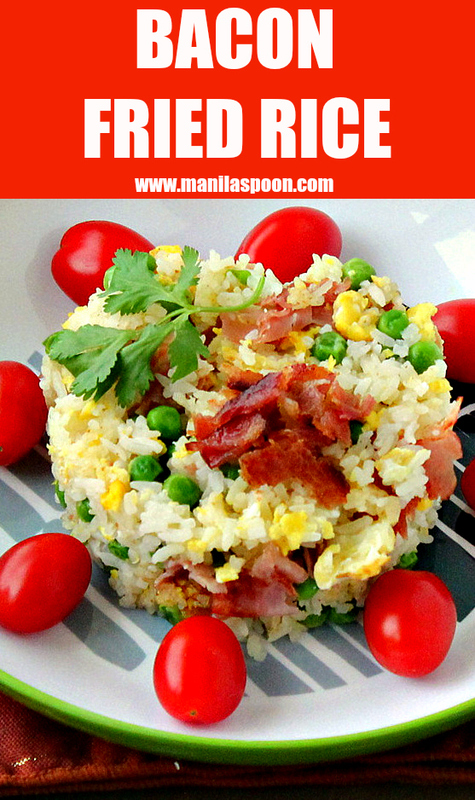 So for your next Asian themed night, impress your friends and make this easy and delicious Bacon Fried Rice! In a wok or a large and deep skillet, fry the bacon pieces until crispy and have rendered their fat. Set aside the bacon. Leave about 3-4 tablespoons fat on the skillet. Saute the garlic briefly until aromatic. Add the chilled rice and stir often to ensure the grains separate. Season with salt (or soy sauce for extra color and flavor) to taste. When the rice is already heated sufficiently you may add the beaten eggs. If you have a big enough wok or wide enough pan, create a well/space in the middle of it by pushing the rice to the side. Spray a little oil (or a little bacon fat) in the middle and then pour the beaten eggs. Let the eggs set for a few seconds, just enough to allow you to flip it. When the eggs have set enough, flip it over then begin to mix it with the rice breaking it up as you do so. You may also scramble the eggs in another pan and just add it later after it’s been cooked and simply mix it with the rice when the latter is already hot. Add the frozen peas or corn and continue to stir until the veggies are cooked about 2-3 mins. In the meantime, crumble the bacon and add half of it to the rice. Stir everything. Check the seasoning and add more salt or soy sauce as needed. Transfer to a platter and garnish with the remaining bacon bits and some freshly chopped cilantro or green onions, if desired. Serve immediately with your favorite Asian dish! What a great way to use leftover rice, and beautifully presented too. Anything with bacon is good.